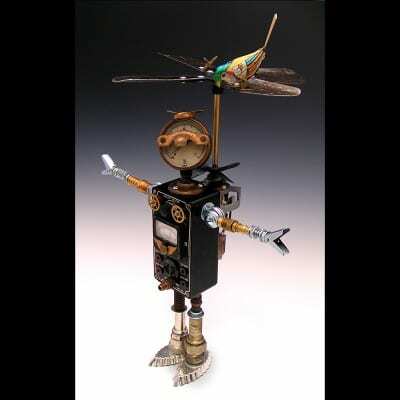 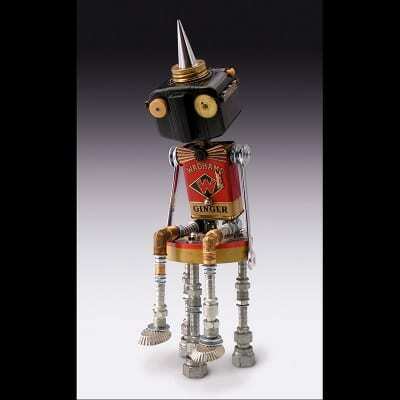 Fobots are the work of Raleigh, North Carolina artist Amy Flynn. 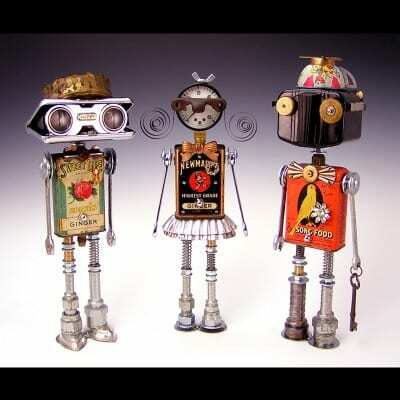 After over 25 years as a professional illustrator, Amy started making robots to fill the time between illustration jobs. 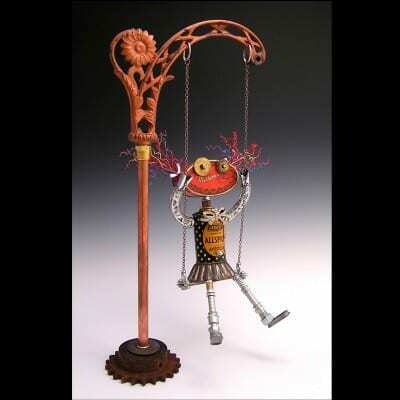 Now, it's her passion, as it combines two of her favorite pastimes; making things and shopping. 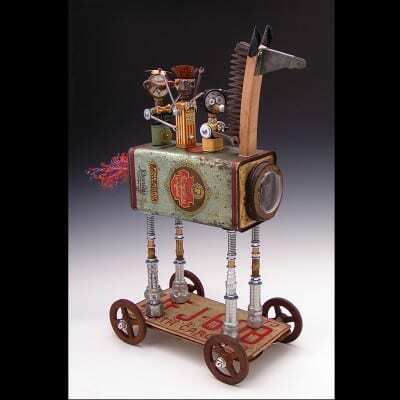 She scours flea markets, basements, internet auctions, and scrapyards for cool old junk. 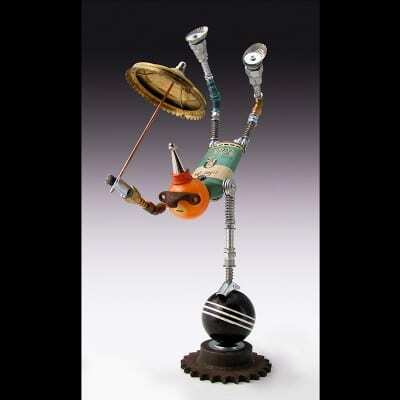 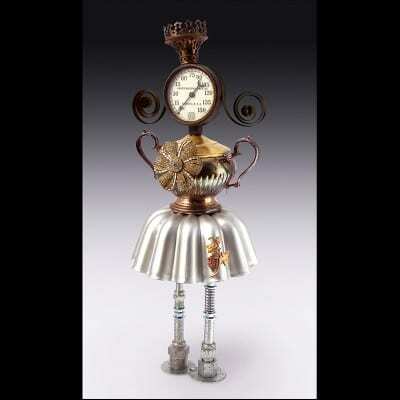 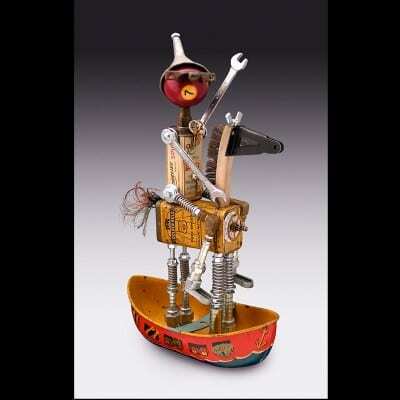 Amy then solders and bolts the pieces together to create sturdy, one-of-a-kind sculptures, never to be duplicated.